Brutal tyrants learn what they can get away with from the international response to other tyrants. Muammar Gaddafi believed that he could get away with mass murder because the world looked the other way in 1989 in Beijing and he observed in 2011 that "The unity of China was more important than those people on Tiananmen Square." Between 1915 and 1917 the Ottoman Turks murdered more than 1.5 million Armenians and like the Chinese communists in 1989 got away with it. This inspired Adolph Hitler to carry out his own holocaust stating in 1939: "Who, after all, speaks today of the annihilation of the Armenians?" The answer with regards to the June 4, 1989 massacre in China is the Tiananmen Mothers and those who wish to see their message reproduced far and wide. At the request of the Tiananmen Mothers, Human Rights in China (HRIC) has released the following essay that commemorates the victims of June Fourth on its 22nd anniversary reproduced here along with the 2006 video Tankman outlining what happened in solidarity with the Chinese people. Around the world activities are planned to remember the Chinese people massacred by Chinese communist troops on June 4, 1989 following demonstrations in Tiananmen Square. Online you can demonstrate your solidarity with the Tiananmen Mothers by signing a petition at Fill the Square. In London a flash mob and vigil are being organized for the 22nd Anniversary Remembrance of the 1989 Beijing massacre. The Laogai Research Foundation in Washington D.C. is organizing In Memory of Tiananmen a commemoration and film screening of the documentary "Tankman" on June 3 at 6:30pm and in New York City on June 4 beginning at 12 noon E.S.T. Initiatives for China is organizing an event at the United Nations. More information on the activity at the United Nations below. Victims and Families to Attend Commemoration of June 4th Movement at the United Nations. Reporting from the office of Initiatives for China – On June 4th, 2011, Madam Xu Liping, widow of victim of the June 4th Movement, Yu Di, will join in the commemoration for the 22nd anniversary of the June 4th Movement, that will take place at the United Nations in New York. Bullets extracted from late Mr Yu Di will also be exhibited. Born January 1st, 1957, in the city of Jixi, Heilongjiang Province, Yu Di was an assistant engineer at the Beijing Solar Energy Research Institute, a military veteran, member of the Chinese Communist Party (CCP), a university graduate with several awards for his research. At 2am in the morning, on June 4th, 1989, the military troops confronted civilians between the areas of Nan Chi Zi to the Museum of History, and opened fire four times. In the first round of fire, bullets penetrated Yu Di’s his lower left rib through his upper right. The bullets shot through eight of his major organs, including liver, kidneys, lungs and spine. He was sent to Peking Union Medical College Hospital and operated on four times. He lost one kidney and had part of his liver removed. In the end, the severity of the injuries caused widespread infection. He died of multiple organ failure on June 30th, at the age of 32. After Yu Di passed, his wife, Madam Xu Liping was left with their four year-old son. Life was difficult for Madam Xu and her son, who had only each other. However, she always took part in public events providing aid to victims of the June 4th Movement. Recently, Madam Xu arrived in the United States. After she saw drafts of open letters – regarding the Chinese government’s serious and on-going human rights violations – to the Secretary-General of the United Nations by Dr. Yang Jianli, Madam Xu decided to join in the June 4th memorial event at the UN. It is known that after Yu Di’s passing, Madam Xu Liping preserved the bullets extracted from her husband’s body. These bullets will be displayed at the June 4th memorial event, to honor those who lost their lives at the Tiananmen Massacre in Beijing. With regards to the June 4th Massacre and the question of human rights, Madam Xu Liping has this to say, ‘Is mere appealing, reason for death? Is mere difference of political opinion, reason to be silenced? Is investigating the truth, reason to be imprisoned? Even more astonishing, not long ago, at the crackdown of civilians, Libyan leader Gaddafi cites June 4th as a model…” Madam Xu hopes the international community will pay attention to the question of human rights in China. According to information from spokesperson of Initiative for China, Dr Yang Jianli, Mr Fang Zheng, who was disabled as a result of the June 4th Movement, will also participate in the event on June 4th, 2011, that will begin in the afternoon at the United Nations. In 1989, Fang Zheng saved a schoolmate as he was withdrawing from Tiananmen Square. A tank from the martial troop ran over Fang Zheng’s legs and as a result, both his legs had to be amputated. After the June 4th Movement, he was under long-term surveillance. In early 2009, with help from a human rights organization – Humanitarian China, Fang Zheng arrived in the United States. 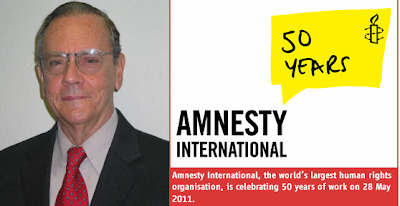 Amnesty International at 50: Change Minds. Change Laws. Change Lives. 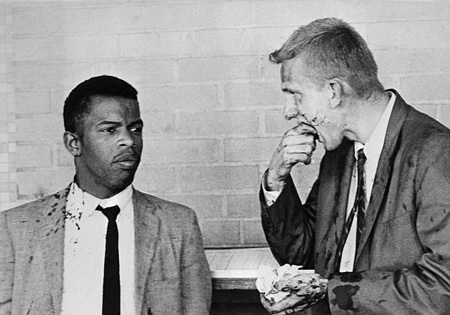 One man’s outrage at the imprisonment of two students for raising a toast to freedom changed the world for the better. Produced by Award winning documentary film maker, Jeff Dupre and Show of Force, this powerful film captures 50 years of Amnesty International's work. On the 28th of May 1961 an article appeared in The Observer that captured the imagination of ordinary men and women around the world. Written by London lawyer Peter Benenson, The Forgotten Prisoners called for an international campaign for the release of thousands of people who had been jailed because of their political or religious beliefs. They were given the name ‘prisoners of conscience.’That call for justice a half decade ago was the birth of Amnesty International, a human rights group which has since grown into a global organisation with over three million supporters in 150 countries. In recognition of our human rights campaigning, in 1977 we were awarded the Nobel Peace Prize. Peter Benenson said that the impetus for The Forgotten Prisoners was a newspaper article he read about two students jailed for seven years in dictator Antonio Salazar’s Portugal simply for raising their glasses and toasting freedom. At the time he said he wanted to “mobilise world opinion” about the human rights abuses being committed by governments around the world against those citizens whose opinions differed to theirs. Amnesty International is marking its 50th anniversary with the launch of a Global Call to Action designed to help tip the scales against repression and injustice, with events held in almost 60 countries in every region of the world. The anniversary comes against the backdrop of a changing human rights landscape, as people across the Middle East and North Africa courageously confront oppression, tyranny and corruption – often in the face of bloodshed and state violence. With these protests dramatically demonstrating the need for international solidarity on human rights, Amnesty International’s new Global Call to Action includes a digital “Earth Candle” – a significant online breakthrough that allows activists for the first time to see an overview of the organization’s worldwide actions, and how their own actions add to this force for change. This is accompanied by a new drive – “Be one more, ask one more, act once more” – that aims to achieve a huge collective impact worldwide. It urges everyone – including Amnesty International’s three million members and supporters in more than 150 countries and territories – to encourage at least one other person to take action for human rights. The launch of the global initiative will see, dozens of countries from Argentina to Ghana to Turkey to New Zealand holding a symbolic toast to freedom. This global event pays tribute to the tale of two Portuguese students imprisoned for raising their glasses to liberty – an injustice that so outraged British lawyer Peter Benenson that he launched Amnesty International on 28 May 1961. “Since the Amnesty International candle first shone a light on the world’s hellholes, there has been a human rights revolution. The call for freedom, justice and dignity has moved from the margins and is now a truly global demand,” said Salil Shetty, Amnesty International Secretary General. But despite progress, human rights violations are at the heart of key challenges facing the world today. Governments are failing to uphold the promises of the United Nations’ Universal Declaration of Human Rights, and are fuelling or ignoring violations. Almost two-thirds of humanity lacks access to justice; abuses are driving and deepening poverty; discrimination against women is rife; and in the last year alone Amnesty International has documented torture and ill-treatment in at least 98 countries. Salil Shetty said that activism is a powerful force for change, as shown by the brave protestors in the Arab Spring. “We can offer something that the forces of repression can never contain or silence: people united in common action; the sharp and powerful rallying of public opinion; the lighting of one candle at a time until millions of candles expose injustice, and create pressure for change,” he said. Amnesty International will this year focus on six areas where people power can create real improvements: freedom of expression, abolition of the death penalty, reproductive rights for women and girls in Nicaragua, ensuring international justice in the Democratic Republic of Congo, corporate accountability in the Niger Delta, and ending injustice and oppression in the Middle East and North Africa. For half a century Amnesty International – the world’s largest human rights organization – has borne witness to abuses and atrocities, has offered hope to the oppressed and forgotten, and has campaigned with innovation and determination for justice. 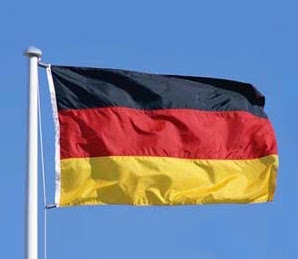 It has played a leading role in making torturers international outlaws, in ending the untouchable status of leaders accused of human rights crimes, in the creation of the International Criminal Court and in achieving unstoppable momentum towards a death penalty-free world. Throughout its history, Amnesty International has evolved and adapted to meet the challenges presented by a rapidly changing world. Its on-going work for prisoners of conscience – tens of thousands of whom have been released since 1961 – is now accompanied by action to uphold the whole spectrum of rights enshrined in the Universal Declaration of Human Rights. “Today people worldwide are increasingly expressing their desire for both political and economic rights – showing that despite the claims of some governments, rights cannot be ranked or traded. All rights – whether socio-economic or political – must be respected together if we are to achieve freedom from fear and want,” said Salil Shetty. The challenge remains above all to hold states – which have ultimate responsibility for delivering human rights – accountable. But corporations and armed groups must also fully respect human rights and be held accountable for their actions. “50 years of standing up to tyranny and injustice has shown that change is possible and that people united in common action across borders and beliefs can achieve extraordinary things. Every individual can make a difference, but millions standing together and uniting against injustice can change the world,” said Salil Shetty. I am saddened to announce that Adolfo Rivero Caro has passed away. He was one of the founders of the Cuban Committee for Human Rights, a former prisoner of conscience, a newspaper columnist, author and a friend I'd known since the early 1990s. He was a man of firm convictions and the courage to both debate them and live them out in the public arena. He was an intellectual. Adolfo Rivero Caro born into a life of privilege, son of a journalist, sent to the best schools absorbed and analyzed the information about him and despite the personal consequences embraced Marxist-Leninist ideas in his youth and joined the revolutionary underground against the then Cuban dictator Fulgencio Batista in the 1950s. When the Communist revolution achieved power in Cuba and displayed its arbitrary and dictatorial characteristics, despite a comfortable post as a professor of Marxist philosophy at the University of Havana in 1968 he was one of the authors of a profound left wing critique of the Cuban revolution. It was the first substantial break with the communist party from its own ranks. Once again Adolfo Rivero's conscience demanded that he denounce injustices and challenge them. Others that joined him in this endeavor such as Modesto Arocha and Ricardo Bofill would face detentions and prison but would also become lifelong friends and found a human rights movement. Later he would write about the forgotten right: the right to property. It is very difficult to overthrow a totalitarian dictatorship. Nobody has ever done it. Cubans have fought. Thousands have died in front of the firing squads and hundreds of thousands have languished in the Cuban gulag for resisting Castro's regime. Mario Chanes de Armas, Fidel Castro's companion in the assault on the Moncada Barracks, became the longest-standing political prisoner in the world, at thirty years in jail, for opposing Castro's dictatorship. Our human rights movement emerged as a strictly Cuban initiative that for a long time lacked almost all sympathy or solidarity abroad. Everyone had a hard time believing that open defiance of the regime itself could only be a clever provocation. Gradually, however, Ricardo Bofill's suicidal stubbornness convinced a few supporters of the importance of the utility of the human rights issue as a weapon in the struggle against the totalitarian dictatorship of Fidel Castro. Today there are hundreds of dissidents who struggle within the country despite being fired from work, jailed, beaten and constantly harassed. There are independent journalists, teachers, doctors, lawyers, architects, librarians, and even political parties. You can ask for their names, their addresses. [...] Dissidents in Cuba show the way of the future. All of them should be released immediately and unconditionally. While Castro and its communist dictatorship remains in power, there is no hope for real change. Outside Cuba, the Cuban Exile Community has not forgotten its homeland and simply melted with the population of the greatest country in the world, the United States of America. Though that would be a natural option and though probably very few will ever return to Cuba, it would also mean to turn its back on their homeland and its noble people. That will never happen. They need us. One day, Cuba will be free. Communism has already lost. The future belongs to democracy. Over the past few years we met a handful of times, often when a mutual friend David Landau was visiting him in town, and we vigorously debated US foreign policy. ( Adolfo was a supporter of President George W. Bush's policies whereas I tended more towards Ron Paul's policies prescriptions with some notable exceptions). Let me also say for the record that Adolfo reproduced a couple of my essays on his website: Abandoned Battlefield(2001) and The Final Chapter (2003). He encouraged young activists to engage in the battle of ideas giving his time and challenging underlying assumptions in debate and dialogue. In 1996 Adolfo Rivero Caro provided a detailed lecture on the origins and development of the Cuban Communist Party to the Free Cuba Foundation, an FIU student group, and described his own role in the communist underground and participation in the early days of the Revolution. He also told us about his brother Emilio-Adolfo Rivero Caro who had also been involved in the struggle against Fulgencio Batista but was part of the anti-communist resistance to the dictatorship. Emilio-Adolfo left Cuba, returned and was captured during the Bay of Pigs in 1961. Adolfo Rivero described how he was approached by "comrades" within the regime and asked what should be done with his captured brother Emilio-Adolfo and he told us that he had asked them to have his brother executed by firing squad believing that it was more humane then 30 years in one of the Castro regime's prisons. Courageous, truthful and disregarding the consequences of what others might say or think he provided a group of students a deep understanding of the kind of system operating in Cuba and its brutal nature. I regret that I hadn't spoken with Adolfo in months and although I knew that he had health troubles did not appreciate the full gravity of his condition. Until very near the end he kept writing and his opinion pieces appeared in El Nuevo Herald and on his website Neoliberalismo. Adolfo's passing has taught me a vital lesson: Do not take your friends for granted nor believe that maintaining contact through cyberspace is a suitable measure of keeping up to date. 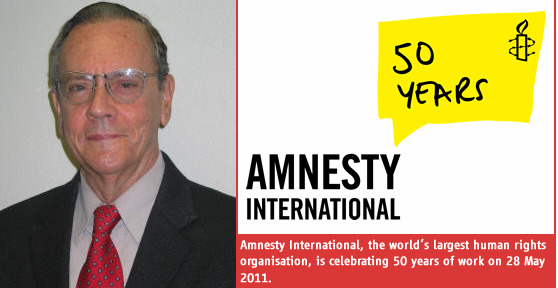 Today, there will be a wake for Adolfo Rivero Caro at 4:00pm that coincides with the 50th anniversary of the founding of Amnesty International. 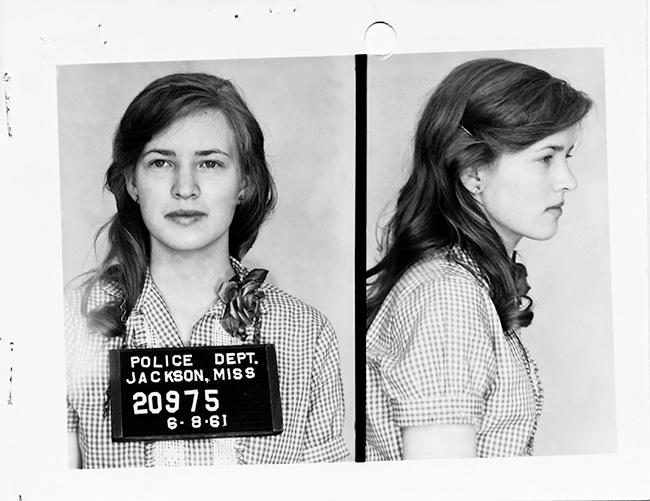 It was Amnesty that coined the term "prisoner of conscience" in 1961. Adolfo Rivero Caro was a prisoner of conscience in Cuba together with other members of the Cuban Committee for Human Rights among them: Ricardo Bofill, Sebastian Arcos Bergnes, and Gustavo Arcos Bergnes all imprisoned for defending human rights and dignity. Agree or disagree with Adolfo Rivero Caro's positions over the years but never doubt that in addition to having been a prisoner of conscience under the Castro regime that he was a prisoner to his conscience throughout his life and always spoke truth to power no matter how unpopular or dangerous. He will be greatly missed. Requiescat in pace. Update #3: SOS from Jorge Luis Garcia Perez "Antunez" on twitter on June 16, 2011: Regime police brutally beat Yris in the head a few days ago. She has not recovered. Needs protection and a medical doctor urgently. Guillermo Fariñas Hernández on twitter today reported: "State Security prevented Antunez from taking his wife, recently hit in the head, for a medical consultation to a hospital in Havana." Update #2: SOS from Jorge Luis Garcia Perez "Antunez" on twitter on Saturday May 28, 2011 : "Yris my wife with headaches and numbness in right cheek. I hold Castro brothers responsible for what happens to Yris as a result of police brutality she suffered. What was Yris's crime? Go outside peacefully to the streets with clothes inside out in protest? 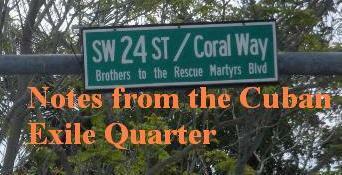 Caridad Caballero Batista, whereabouts continue to be unknown. We fear for her life." Update: Yris is accounted for and back with her family as of Friday, May 27, 2011. Bloodied, bruised and disoriented from the beating suffered at the hand of Cuban state security but thankfully alive according to an early afternoon tweet from her husband. In Cuba, marching nonviolently to remember victims of the dictatorship such as Orlando Zapata Tamayo and Pedro Luis Boitel can have dire consequences even for a mother. Scores of Cuban human rights defenders and activists were detained, roughed up, and in at least one case both their whereabouts and health status remain unknown. Yris Tamara Pérez Aguilera, heads the Rosa Parks Feminist Movement for Civil Rights, a human rights movement in Cuba, named after Rosa Parks. She's suffered repression at the hands of the dictatorship before when she spoke out on behalf of a young man abused by the police and was the victim of racial epithets hurled at her by regime officials. There is a case to be made that the regime in Cuba has issues with racism. Her husband, arrested along with her and still detained (but his location and health status are known) is Jorge Luis García Pérez, an opposition leader in the locality of Placetas, who was imprisoned on March 15, 1990 for "oral enemy propaganda" when he spoke out in favor of Eastern European style reforms in Cuba. 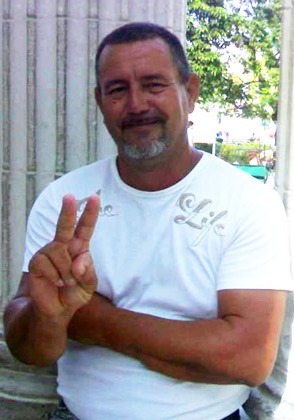 García Pérez, known as "Antunez", was finally released more than 17 years later on April 22, 2007, having served one of the longest sentences for the present generation of political prisoners on the island. While in prison he founded along with others, an organization called the Pedro Luis Boitel Political Prisoner’s Movement. In November of 2009 he founded the Orlando Zapata Tamayo National Civic Resistance and Civil Disobedience Front.adding the name after the Front's founding in honor of a prisoner of conscience who died on hunger strike on February 23, 2010. A State Security agent who goes by the nickname “ the weightlifter” on the morning of May 25, 2011 at the end of an activity in remembrance of both Orlando Zapata Tamayo and Pedro Luis Boitel beat up Yris Tamara Pérez Aguilera so badly that according to Cuban activist, Donaida Pérez Paseiro, she lost consciousness and when Yris came to she was suffering from nausea, a headache, dizziness and her hands were numb. She was arrested and jailed then taken to the hospital only to be returned to a cell but here whereabouts have been unaccounted for since then. When activists Donaida Pérez Paseiro and Yaimara Reyes Mesa went to the General Hospital in Placetas to ask about Yris Tamara Pérez Aguilera's condition following the beating and loss of consciousness the two activists were arrested, beaten and held until 11pm on the evening of May 25th when they were released. They said that at that moment they saw a handcuffed Yris Tamara Pérez Aguilera in a patrol car. Since then her whereabouts are unknown and neither friends nor family have seen her or learned about her location when questioning the authorities. Today, activists were detained as they walked towards State Security headquarters to try and find out the whereabouts of Yris Tamara Pérez Aguilera and what had been done to the young activist as well as to request the release of all the detained activists. The march was led by Librado Linares, one of the prisoners of conscience released this past spring after more than 7 years in prison, who was the one designated to speak to the State Security agents representing the group. Víctor Castillo Ortega, José Lino Ascencio López, Mayda Conlledo García, Yanisbel Valido Pérez, Alberto Reyes Morales, Michel Oliva López, Félix Reyes Gutiérrez, Guillermo Fariñas Hernández (the 2011 Sakharov Prize winner), Guillermo Del Sol Pérez, Ana Alfonso Arteaga, Chichi Bernal Serpa and Librado Linares García were all arrested and at this hour remain in detention. 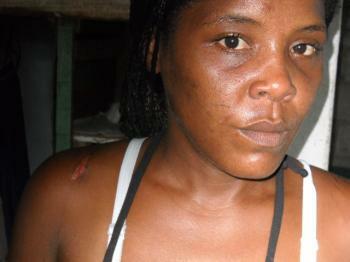 This is not the first time that state security agents have beaten up women exercising their freedom of expression. For example Sonia Garro and Mercedes Fresneda on October 7, 2010 marching with a banner that read "Down With Racism & Long Live Human Rights" were detained by police and badly beaten. 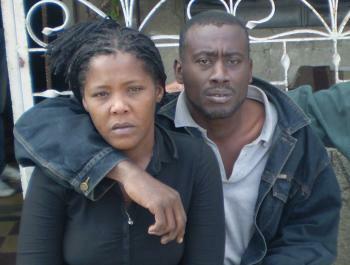 According to Garro and Fresneda they were detained at the police station for seven hours where they were beaten. Sonia Garro suffered a fracture of the nasal septum and Mercedes Fresneda a broken left wrist among other injuries according to the EFE newswire. However, this time it seems to be a coordinated effort to terrorize and repress at all levels. Today, Marcos Maikel (age 33) and Antonio Michel Lima Cruz (age 28), were sentenced to three and two years in prison (respectively) for "disrespect of patriotic symbols." There is slow motion crackdown underway in Cuba. Some questions that arise: How long are the detentions and prison sentences and how violent are the Cuban State Security beat downs of nonviolent activists going to be? The death of Juan Wilfredo Soto Garcia three days after a beat down by the political police of the Cuban dictatorship along with beat downs of Angel Moya Acosta and Sara Marta Fonseca indicate this is policy, not an isolated incident by over enthusiastic police. In Cuba asking these questions and requesting the freedom of innocent nonviolent activists can get you arrested and beaten up. Celebrate the courage of those willing to risk all for their fellow citizens and at the same time living in the free world please take a moment and speak out for them. What better way to celebrate the upcoming 50th anniversary of Amnesty International? Cuba is on the United States State Department list of state sponsors of terrorism and has been since 1982. There is a long history dating back to the Castro brothers using terrorist tactics in the struggle against the dictatorship of Fulgencio Batista in the 1950s and perhaps even before that. 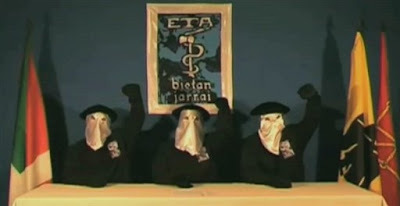 The organizing of an international guerrilla and terrorist front at the Tricontinental meeting in Havana and the training of individuals such as Abu Nidal whose terrorist tactics would be adopted a generation later by Osama Bin Laden and the Al Qaeda network offers a demonstration of the fruits born from meetings held in Cuba in 1966 and 1967. Terrorism has long existed in human history but in 1966 and 1967 for the first time it was organized internationally in a systematic fashion. Now in 2011 part of that history is again surfacing with the shifting fortunes of members of the Basque terrorist group known as E.T.A. residing in Cuba. Below is an English translation of an essay by Cuban blogger Yoani Sanchez that offers a first hand account and reflection. I was eight months pregnant when I met two Basque radicals living in Cuba, Rosa and Carlos, or at least that’s what they called themselves then. They invited us to their Miramar mansion for a party with troubadours and chorizos. They had some sources for Serrano ham and dried fruit, foods we only knew of from the movies. But not even the aromas and flavors could dispel our rising doubts as we observed them. How did these people manage to live in a such a place, with a car with private plates and such a well-stocked pantry? What had they done to access privileges unthinkable for nationals? My son was born a month later, the Serrano ham didn’t reappear in my life for many years and a decade later I ran into Carlos in the street. I called him by name but he didn’t answer. He jumped as fast as he could into a car and lost himself in the bustle of Avenue Reina. Of Rosa, I knew that she had moved and was now introducing herself as Daniela. Her new facade was distributing tour packages. But, as happens in Havana, stories were rife, gossip circulated, secrets made the rounds, and I learned that they were wanted by Spanish justice and the mansion to which they’d been assigned functioned as an official guest house. The two of them could not return–under their real identities–to Spain. Nonetheless, their pampered refuge came to an end. Today their hosts have become their jailers. The same government that one day sheltered and provided them resources has refused, for months now, to falsify new passports so they can go to France or some other place. I don’t know under what new names Rosa and Carlos are known, where they are living, or how many of their previous privileges they have now lost. I imagine they have ended up confined to this Island, distrustful of those around them, cursing their fellow travelers who gave them shelter, those “generous” protectors of earlier days, who ended up imprisoning them here. Over the past couple of years this blog has had several posts on the myths about the healthcare system in Cuba outlining both the horrors committed against patients in places like Mazorra; the lack of decent facilities and the systematic effort by the regime to cover up these realities despite exposure by wikileaks. On Saturday, May 21, 2011 a blog post by Claudia Cadelo of Octavo Cerco titled One More Number in Statistics (Un número en la estadística) succinctly exposes the reality lived by a Cuban woman undergoing a pregnancy on the island. Below the English translation is reproduced and the original Spanish can be found here. Breakfast 7:00am: 1 C. coffee with milk, 1 tsp sugar, 1 fruit, 1 bread, 1 tsp. butter or mayonnaise. Lunch 1:00pm: 3 large spoons rice; 1/2 C. vegetables; 1/2 C. squash, beets, or carrots; meat, chicken, fish, egg or liver; salad, eat freely; 4 tsps. jam. Dinner 7:00pm ( same as lunch). Snacks 10:00am; 4:00pm; 10:30pm: 1 C milk or yogurt, 1 tsp sugar, fruit. The first thing she said when she saw me was, “I thought the state of education was bad, but now that I’ve come up against the public health system...” E. is like me, very small, but much skinnier. Before her pregnancy she weighed 89 pounds and now, at two months, she weighs 113 and her hemoglobin count is 12.5. Still, the nutritionist thinks she is underweight and has recommended “moving into a maternal home.” She gave her a copy of a diet to follow to the letter. When she showed it to me I started to laugh, but to her there was nothing funny about it. She has to get up at seven in the morning to have breakfast and this first meal of the day includes a tablespoon of mayonnaise, whose nutritive properties are unknown to me. Throughout the day she must must meet the standard of six large spoons of rice and two ladles of beans (half at lunch and half at dinner, every day until the baby comes). Meat is not defined by quantity and she must eat a half cup of guava jam every day. Former Chinese prisoner of conscience Yang Jianli of Initiatives for China addresses luncheon conference briefing on Thursday, May 19, 2011 to lobby for an improved membership on the UN Human Rights Council. Current members of concern include China, Saudi Arabia, Cuba, Russia, Bahrain and Pakistan. He outlined practices by the Chinese government that should disqualify it from membership on the Council. Three days before the UN chooses 15 new member states to its Human Rights Council, human rights groups today said Congo, Kuwait and Nicaragua failed to meet the membership criteria, while the qualifications of India, Indonesia, Philippines and Burkina Faso were "questionable." Voting recommendations were submitted on May 17, 2011 to the New York missions of UN member states by the Geneva-based UN Watch, the Lantos Foundation for Human Rights and Justice, Directorio Democratico Cubano, and Initiatives for China. Congo and Kuwait, despite horrible human rights records were elected to the UN Human Rights Council but Nicaragua was not elected. Geneva-based UN Watch, the Lantos Foundation for Human Rights and Justice, Cuban Democratic Directorate, and Initiatives for China, which is headed by former Chinese prisoner of conscience Yang Jianli presented recommendations on elections for candidates to the UN Human Rights Council and held a luncheon at the United Nations in New York on May 19, 2011. The following is the brief address I made at the luncheon. What are the consequences of a country with questionable credentials having a seat on the UN Human Rights Council (UNHRC)? The answer is found in Cuba's tenure on the Council which ends in 2012. In addition to membership on the UNHRC one of the vice-presidents is Rodolfo Reyes Rodriguez, the ambassador of the Cuban dictatorship. The non-invitation invitation of Manfred Nowak, the UN special rapporteur on torture, by the Cuban Ambassador and the Cuban Minister of Justice in January of 2009 to visit Cuba later that same year. Only to be put off without notice again and again through 2009 and 2010 leading to this expert missing opportunities to visit other countries caught. Incidentally, the last time the Cuban government permitted the International Committee of the Red Cross to visit Cuban prisons was 1989. The previous time was 1959. On February 2, 2009 during the Universal Periodic Review of China the then Cuban Ambassador, Juan Antonio Fernandez Palacios encouraged the Chinese regime to repress human rights defenders in China with more firmness. On May 28, 2009 the amidst a human rights crisis in Sri Lanka the Cuban government's diplomats took the lead and successfully blocked efforts to address the wholesale slaughter there. Now the argument made by some UN officials is that having countries with systematic human rights violations on the Council offers them an exposure to human rights that changes them for the better. In practice, the opposite appears to be the case. The Human Rights Council did not change these regimes. They've changed the Human Rights Council for the worse. In the case of Cuba during their tenure on the Council human rights continue to be systematically violated. On February 23, 2010 Orlando Zapata Tamayo, a human rights defender, died after a long hunger strike during which over a period of 18 days he was denied water by prison officials contributing to his death. On May 5, 2011 human rights defender Juan Wilfredo Soto was beaten up in a public park by the political police and died three days later on May 8, 2011. Acts of repudiation organized by Cuban State Security and physical assaults against dissidents remains standard practice and have increased both in frequency and brutality. In 2004 in the old UN Human Rights Commission after losing a vote, a young Cuban diplomat physically assaulted a 60 year old man - who was part of the American delegation - attacking him from behind in front of numerous eyewitnesses. Despite this the Cuban dictatorship was elected as a member on the new UN Human Rights Council. As Katrina Lantos Swett citing Adlai Stevenson stated earlier: "Solutions begin by telling the truth." Many do not take the UN Human Rights Council seriously because it lacks an enforcement mechanism, but nevertheless telling the truth is important in and of itself and is powerful. Saving the Human Rights Council by at least naming and shaming serious human rights violators and demanding that States in the General Assembly take seriously the importance of voting new members onto the UN Human Rights Council who respect human rights would be two important first steps. This is why it is so important that Congo, Kuwait and Nicaragua not be voted onto the Human Rights Council. The alternative which has been observed over the past five years is a trivialization of the Human Rights Council by those regimes that have a vested interest in its failure. Update: The news of the defeat of Nicaragua is good news for the Latin American region and the Council but the election of Congo and Kuwait along with votes for Syria, who'd pulled out because of the mass human rights violations being committed shamed it off the list is troubling. Imagine for a moment hundreds of young Americans threatened, attacked, imprisoned and responding with nonviolent resistance. 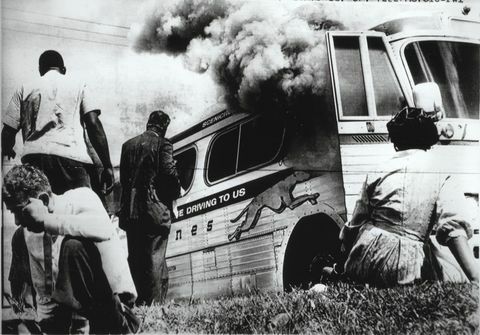 This happened in the Freedom Rides initiated by the Congress of Racial Equality on May 16, 1961. Fifty years later they still gather to remember what happened and to tell new generations that they too can make a difference for the better. American Experience offers a powerful image with an interesting question: "Could you get on the bus?" I think the more provocative question is "Would you get on the bus?" Knowing what awaited the riders as they traveled further into segregationist territory. Buses were burned and people were hurt. 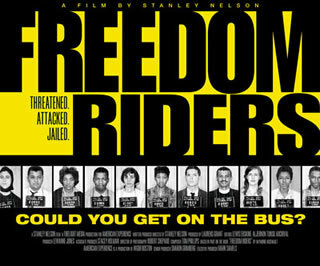 Its a miracle that no one died on the Freedom Rides but we know that other nonviolent civil rights activists were indeed murdered. The students who participated in the last portion of the freedom rides had written their last wills and testaments. Would you get on the bus knowing all of this? Fifty years later let us remember and honor the hundreds of young and courageous men and women who not only could get on the bus but decided that they would risk everything to take a ride for freedom. Cuba must immediately open an independent and impartial investigation into the death of a dissident that followed a public police beating, Amnesty International said today. Former political prisoner Juan Wilfredo Soto died in hospital on Sunday in the Cuban city of Santa Clara, three days after he reported being beaten following his arrest by police officers in a park. “The Cuban authorities need to immediately establish an independent inquiry into the causes of Juan Wilfredo Soto’s death. If he ultimately died as a result of a police beating in Park Vidal, those responsible must face justice,” said Javier Zuñiga, Special Advisor at Amnesty International. The Cuban government has strongly denied its security forces played any role in Soto’s death. Hospital sources have reportedly stated he died from “acute pancreatitis”, a condition which can be triggered by abdominal trauma among other things. Soto belonged to Foro Antitotalitario Unido, an organization led by prominent dissident Guillermo Fariñas, serving as the Secretary for Political Prisoners in Santa Clara. He had previously been imprisoned for 12 years for his dissenting activities. According to Fariñas, on 5 May at around 9am, two national police officers approached Soto in Park Vidal, asked him for his ID and then asked him to leave the park. 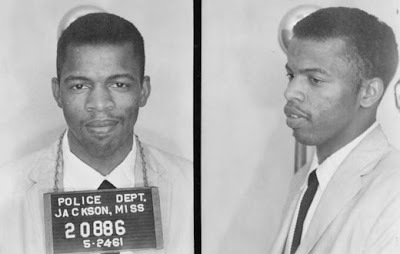 He refused to comply and protested verbally against the expulsion. He was allegedly cuffed with his hands behind his back, then beaten with batons because he continued to protest his arrest. Soto was detained at a police station, then hospitalised that day. He was released from hospital the same afternoon only to return a day later to the intensive care unit, complaining of severe back pain. He died at the hospital on the night of Saturday to Sunday. A local source told Amnesty International that he bumped into Soto as he was going to the hospital on 5 May. According to the source, upon meeting him, Soto said “I just got a beating in the park with batons and I’ve got a very sore back. These people killed me.” Soto’s pre-existing medical conditions included gout, hypertension, diabetes and cardiovascular problems. “There are too many unanswered questions. There needs to be a thorough investigation of what happened to Juan Wilfredo Soto in the park, at the police station, and at the hospital,” said Javier Zuñiga. The Cuban authorities are continuing to stifle freedom of expression on the island in spite of a much-publicised recent wave of releases of prominent dissidents. Soto engaged in street trading in and around the park Vidal, because his political activism had resulted in him losing his job as a construction worker according to Guillermo Fariñas. It is unclear whether the police officers initially asked him to leave the park because of his activism or his trading activities. Juan Wilfredo Soto García beaten and arrested by Cuban regime police on Thursday, May 5, 2011 while protesting the dictatorship died early on Sunday May 8, 2011. He was buried on Sunday on Mother's Day. The response of the international community and the calls for an investigation offer hope that justice will be done in this case. On May 12, 2011, Representative Albio Sires of New Jersey spoke on the floor of the House of Representatives to condemn the death of Juan Wilfredo Soto in Cuba. "I am deeply saddened by the death of Juan Wilfredo Soto and would like to express my heartfelt sympathy to his next of kin. The Cuban dissident Juan Wilfredo Soto died on Sunday in his hometown of Santa Clara. The opposition claims he was beaten up by the police in a public park. The Cuban Commission for Human Rights linked Mr Soto’s death directly to the violence used by the police. According to Guillermo Fariñas, recipient of the European Parliament’s Sakharov Prize for Freedom of Thought, his co-worker Juan Wilfredo Soto suffered from a number of chronic conditions. As a result of his critical stance towards the Cuban Government Mr Soto had spent twelve years in detention. Ministry of Foreign Affairs of the Republic of Poland expresses sadness and grief at the death of Cuban government opponent Juan Wilfredo Soto García on 8 May 2011. We wish to offer our deepest sympathies to the family of the late dissident.Poland expresses profound concern over the circumstances of Juan Wilfredo Soto García’s death. According to witnesses' admission, three days before, i.e. on 5 May 2011, Juan Wilfredo Soto García had been severely beaten by police. Poland calls on the Cuban authorities to explain all circumstances behind his death and reiterates its appeal to Cuba’s authorities to stop all activities that abuse human rights. 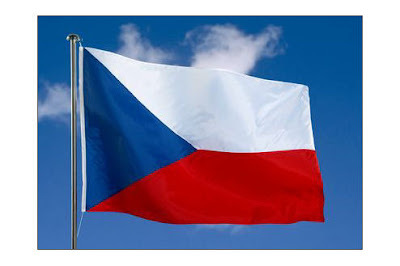 The Ministry of Foreign Affairs of the Czech Republic received with great concern the sad news of the unfortunate death of the Cuban dissident and former political prisoner Mr. Juan Wilfredo Soto García. We are especially concerned with the unclear circumstances of his death. We would like to express our sincere condolences to family and friends. The Ministry of Foreign Affairs of the Czech Republic urges the Cuban Authorities to perform a thorough investigation leading to full clarification of causes of Mr. Juan Wilfredo Soto García’s death. Pope John Paul II Beatified: Santo Subito!